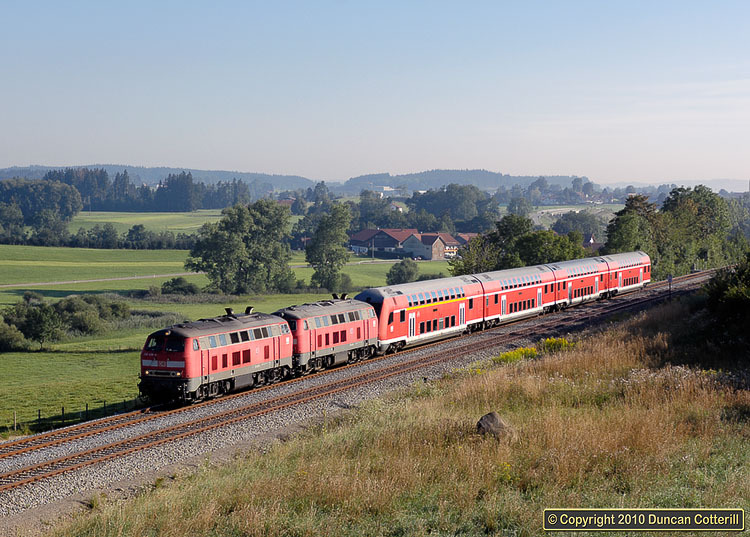 At weekends, leisure traffic is heavy and, in 2007, a pair of Ulm based class 218s are drafted in to work two pairs of trains to Oberstdorf with double-deck stock. The first train was double headed to Immenstadt then the pair top'n'tailed the train for the rest of the day. 218.436 and 218.496 were photographed near Martinszell on 5 August 2007.